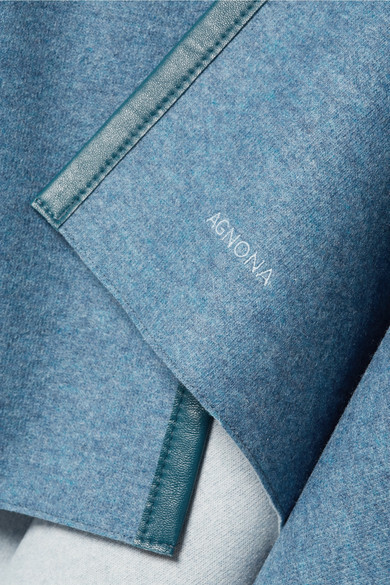 Agnona is deeply rooted in an appreciation for Italian quality and has an understated yet luxurious approach to design - the result is beautiful, truly timeless pieces. 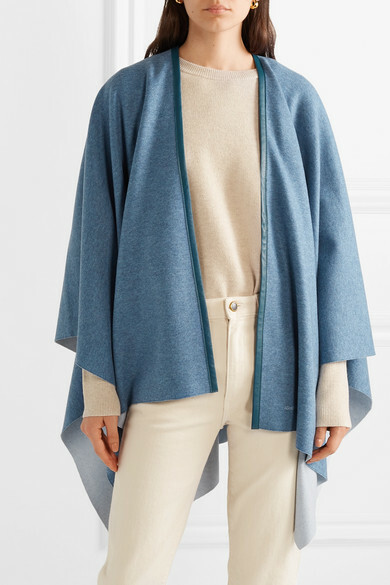 This leather-trimmed cape is spun from cashmere that's naturally insulating to keep you warm without feeling too heavy. 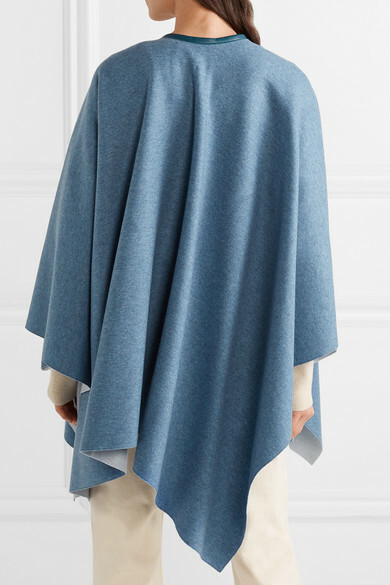 It will easily layer over other knits. 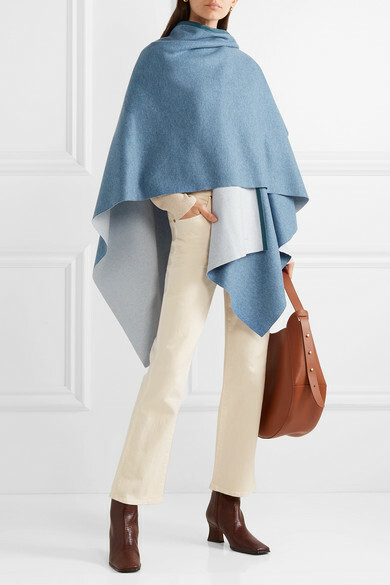 Shown here with: Theory Sweater, Khaite Jeans, Wandler Tote, Sophie Buhai Earrings.